UPDATE 29/12/2018: The FSA and Outdoor Learning Trainers Network for Wales are working together to find a solution as to how the FSA can recognise Agored Forest School qualifications in the future. 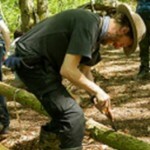 As an interim measure the FSA has agreed to extend the deadline for trained Forest School practitioners with Agored qualifications wishing to join the FSA recognised Forest School Provider scheme. The new deadline is end of May 2019. Thank you I really encourage all that have influence to heal this rift asap; it is quite heartbreaking to feel that another schism threatens unity of purpose among quality trainers.